It's just that they happen so quickly! To protect yourself from wood floor dents, keep this flexible sheet handy. When you move the fridge for cleaning. OR, when the appliance guy comes to replace or repair, KEEP THIS HANDY! Even place it on the floor in front of the appliance before he arrives. 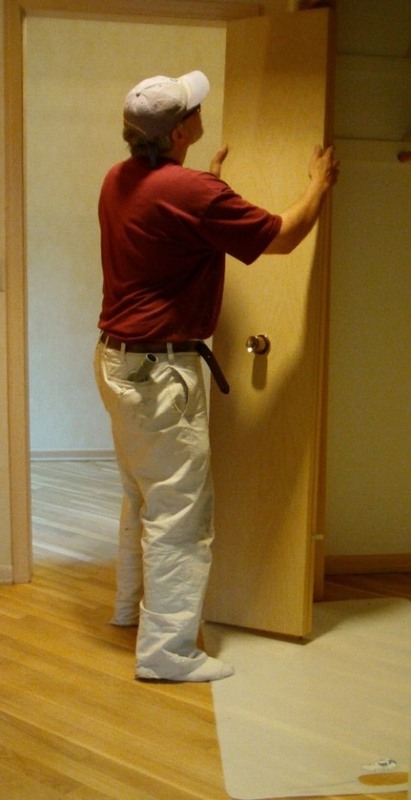 When removing/replacing doors, KEEP THIS HANDY! I think you get the idea by now. This flexible piece of rigid plastic must be within reach. Keep it in the pantry, or along side the fridge. NOT IN THE GARAGE! When it's handy, you will find yourself grabbing it to place under paint cans when doing touch up, or under a foot stool or small ladder when reaching the top cabinets. Thinking of hiring a Floorwright? He can bring the item, directly, when providing any service and SAVE YOU THE SHIPPING COST! Find your Floorwright here.